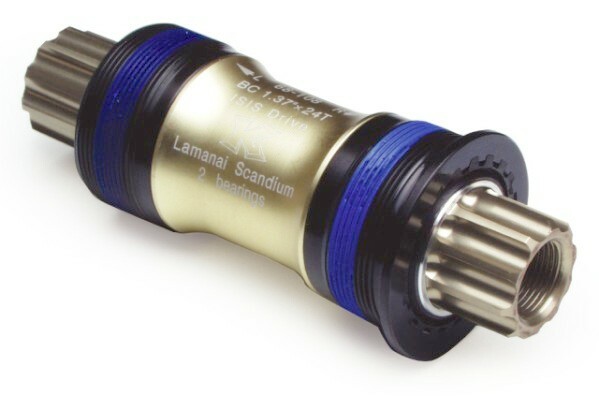 This is a light weight Scandium T-7451 bottom bracket with 2 replaceable sealed bearings. standard 1.37" 24tpi English thread. Weighs 158g including spacers and crank bolts.